When you begin a registration and fill out the registration form, you can save your form as a draft and return to work on it it at any time. However, once you register, your registration will be noneditable and you will not be able to make changes to it. 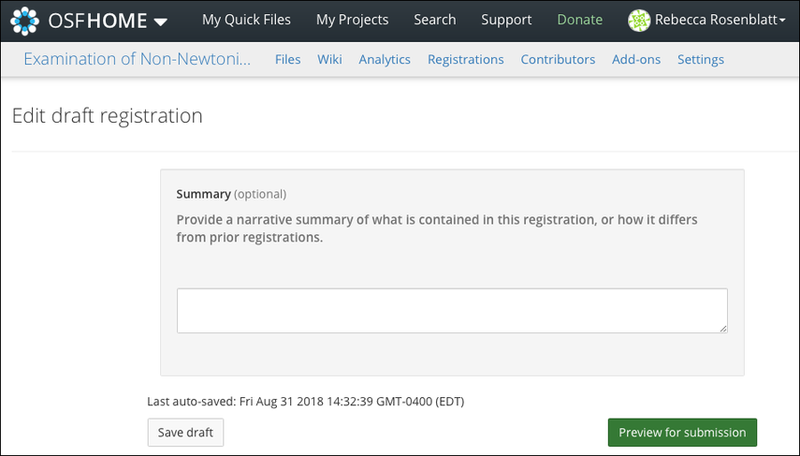 As you fill out your registration form, find and click the Save as Draft button in the bottom left of each page in the form. 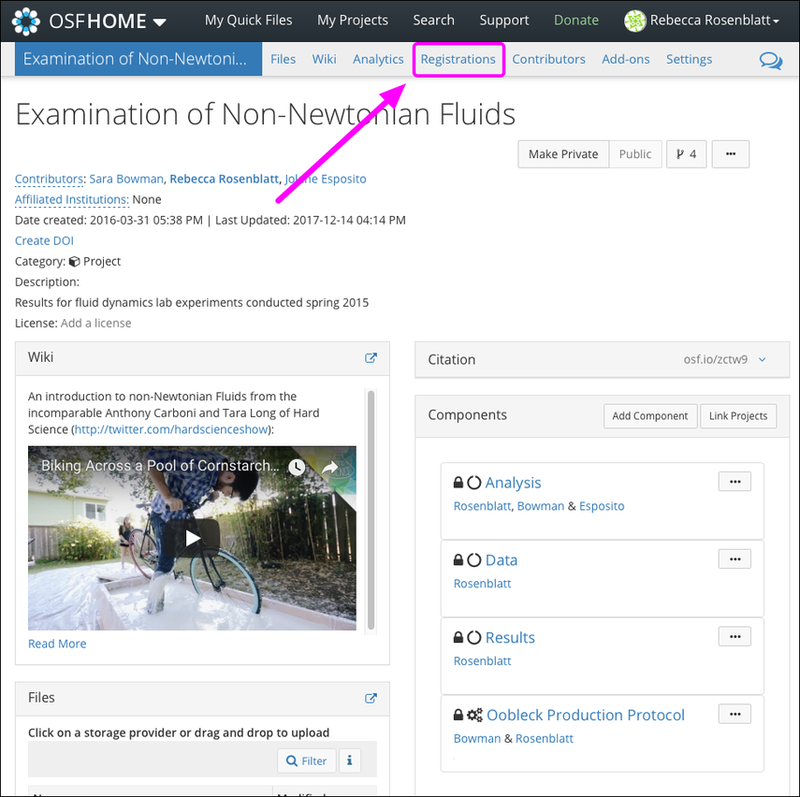 You will be taken to the "Draft Registrations" page on your OSF project, where your draft registration will appear. 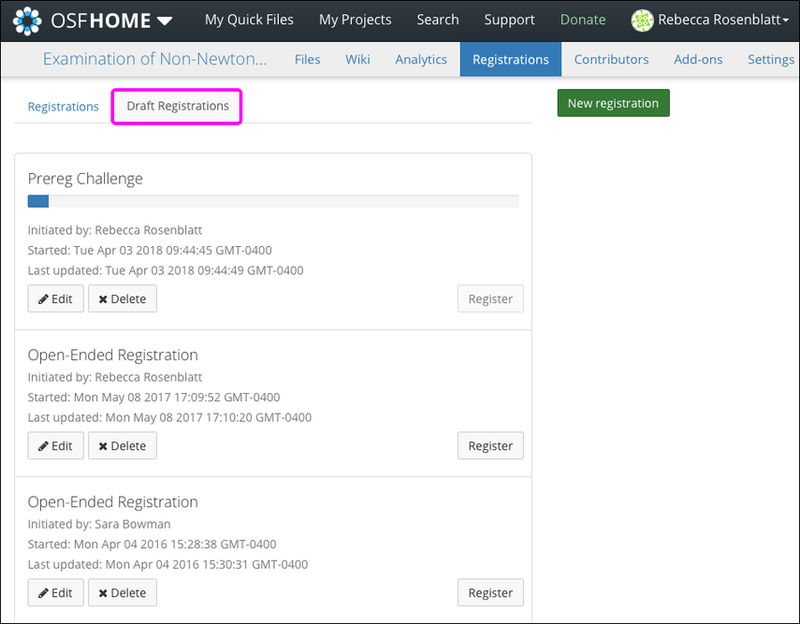 Your draft registration will be named according to its registration type. 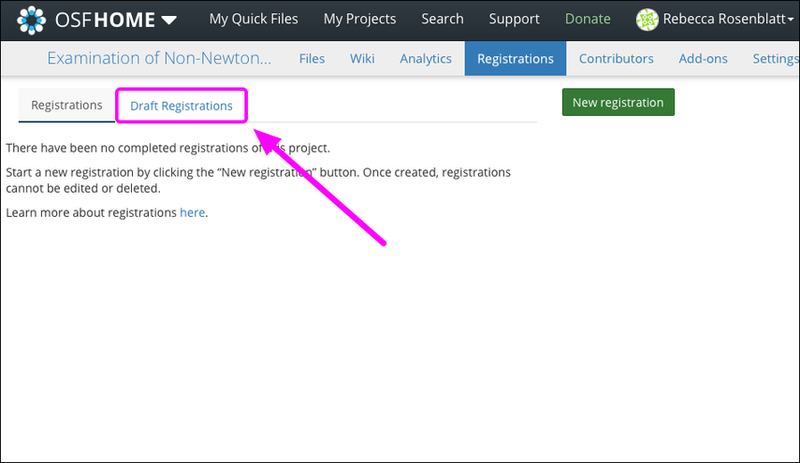 To edit your draft registration, click the Registrations tab in your project's navigation bar. Your "Registrations" page will appear. Click the Draft Registrations tab to see your draft registrations for the OSF project. 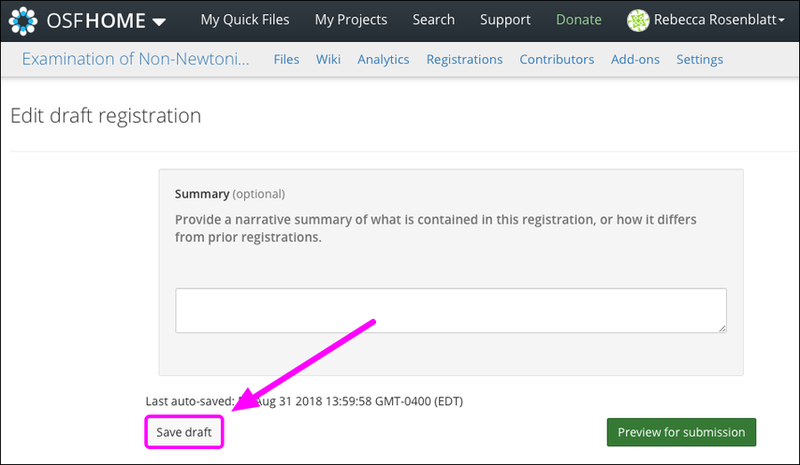 Next, click the Edit button on your draft registration. Note that you can also click the Delete button to delete your draft. 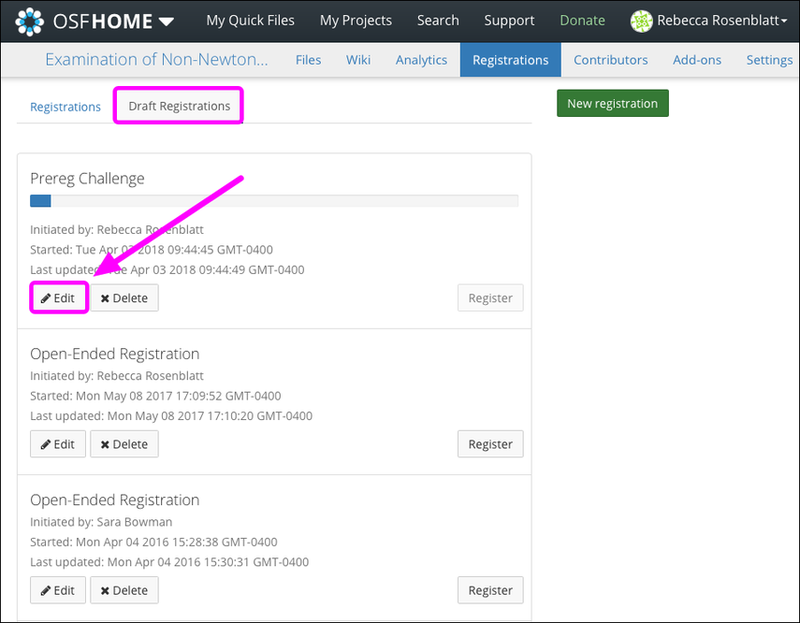 Your draft registration will appear, where you can continue to work on your registration form before registering.